2018 Black Friday and Cyber Monday Are Going To Be The BEST Ever! Music Stores are closing down – they will need to discount ever harder to get your business. Amazon! – right now, they have a bigger range, better service and deeper discounts than ever before. Shoppers have evolved – we demand ukulele discounts all year round now, so Black Friday 2018 had better be SOLID. 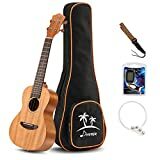 Amazon is having HUGE sales on musical instruments right now. 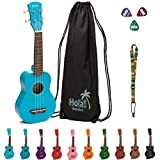 Here’s a link to the Best Ukulele Deals for the holidays. 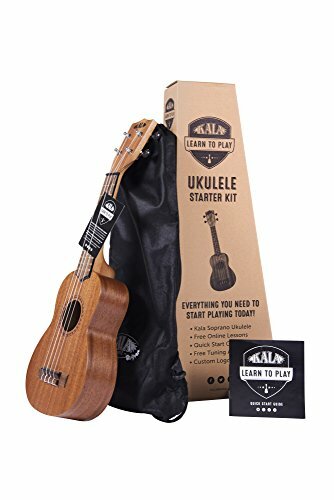 One particularly great choice for beginner ukulele players is the Kala Soprano Ukulele bundle. Another great deal is the Luna Mahogany Tattoo, which is also a fantastic choice. Guitar Center is having some sales on ukuleles, mostly on Rogue and Mitchell brand products or so it would seem. We’ll have to wait a little longer to find out exactly what they are planning for Black Friday and Cyber Monday. They may add more or change the sales for Cyber Monday. Musician’s Friend claims to be the place to go to find the best musical instruments, gear, and content to help you get going in the world of musical instruments. 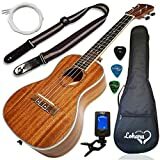 Some of their attributes include an offer of free shipping, the biggest range and online selection of instruments and equipment, and a massive selection of guitars, basses, guitar amplifiers, iOS, ukuleles, banjos, mandolins and more… They even offer a small selection of open box specials you may like to check out. 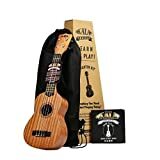 So far we haven’t seen any specific ukuleles listed at huge discounts from Musician’s Friend, but they are worth checking out if you’re keen. Check out their store here. Thus far, we haven’t seen specific ukulele models marked down from Sweetwater. You can see their stock of ukuleles here, and maybe once Friday hits they will list some sales. The Music Trades reports that the retail value of the US market was flat once again in 2016, being just marginally ahead of 2015. Its positive note was the huge variety of products available these days, and that there has never been a better time to be a consumer of music products. The US economy is stubbornly sluggish. Find the article here. MusicalPros.com is a participant in the Amazon Services LLC Associates Program, an affiliate advertising program designed to provide a means for sites to earn advertising fees by advertising and linking to Amazon.com.